i am very happy to say that completed my PMP exam on Jun 1, 2017. i studied for 30 days started from May 1st. Each time i wanted to do PMP, work and family responsilibilties kept pulling me back. This time i had to do it as my application was expiring :P. This forum has kept my motivation high. Thank you PMZilla and its members. Each i read the success and failure stories, i read them well to understand the tips and tricks. I collected all links, youtube, google and websites went through them. Frankly speaking i have hradly taken not more than 3000 solid questions. Preparation time: 30 - 45 days. 3 rounds of reading. Materials used: A guide from office PMP training and PMBoK5 book. Read both thrice, no other books. Rest all is google and youtube. After first round of reading took one mock test and i scored 65% and was not happy with it. My confidance went down. Started reading again second round. Took 2 tests, felt better close to 72% and 75%. Final round of reading, this is when just before a week i had booked exam and i realised i have to take more tests and i felt something is missing. 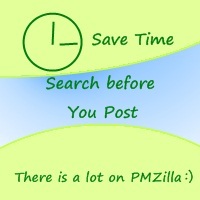 As i had seen blogs from PmZilla, i went through simplilearn, headfirst and PMZilla tough questions. i got better like 75 - 90%. Then i came across PMZest. this was the best question bank that i found and first time trial i got 50%. this is when i realised what if i fail. So bought the question bank. So towards the exam days ( 4 days before exam) i took only PMZest tests 100Qs - 11 tests and 200Qs - 3 tests. i finally scored 70%. #AnmolSinha is such agood mentor and motivator. Each time he kept telling i can do it. Thanks to #PMZest for such good questions as in the exam it had same level of difficult and tricky questions. wish you all good luck for the PMP exam. Never give up. Dont lose focus. Always be self motivated. Think of something that will motivate you more. i sacrificed my hubby birthday, my parents anniversary and my son vacation during the study time. Now is pay back time :) I am really thankful to my family for supporting me during the tough time of reading and motivating me. They would say i can do it in my dream :P.
Finally did it and happy to be part of this group. Congratulations Teena. Your hard efforts did make this happen. Keep contributing to this forum when you get time. Looking future in your career or else if you are interested to do any certification courses on PMP. Then the best insitute in Hyderabad is Proventures. We have well experienced faculty who are having 30 years of experience from real time industry. What do you think about Pmzest in comparison to the actual PMP exam? Is it very similar tot the actual exam in terms of its difficulty level, lower or higher? I just bought it today and did my first test. I had been scoring very well in PMTraining.com Mock exams (around 85%) but in my first PMZest test the score is 66%. I am happy to see these challenging questions and taking them positively to find out my gaps. Do you have any suggestions for time management for the real exam? I see you said that you had practised doing 200 questions in 120 mins. I finished my first PMZest exam within 3 hrs without any break. Is the real exam easy t o finish or is it likely that people might run out of time.